If you can dream we can build it. 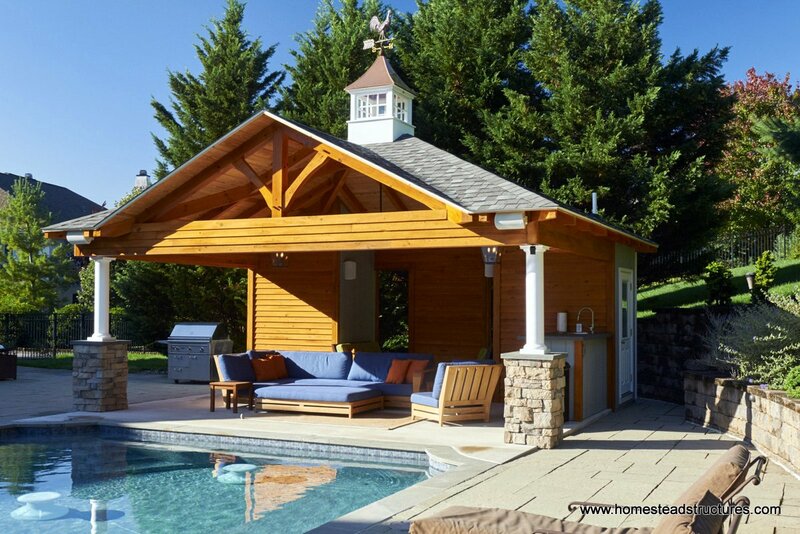 Custom buildings from the Homestead Collection are dreams brought to reality by our capable craftsmen. Show us a picture, or a rough sketch, share an idea, and we will help you catch your vision for the ultimate pool that reflects you and fits your unique needs. 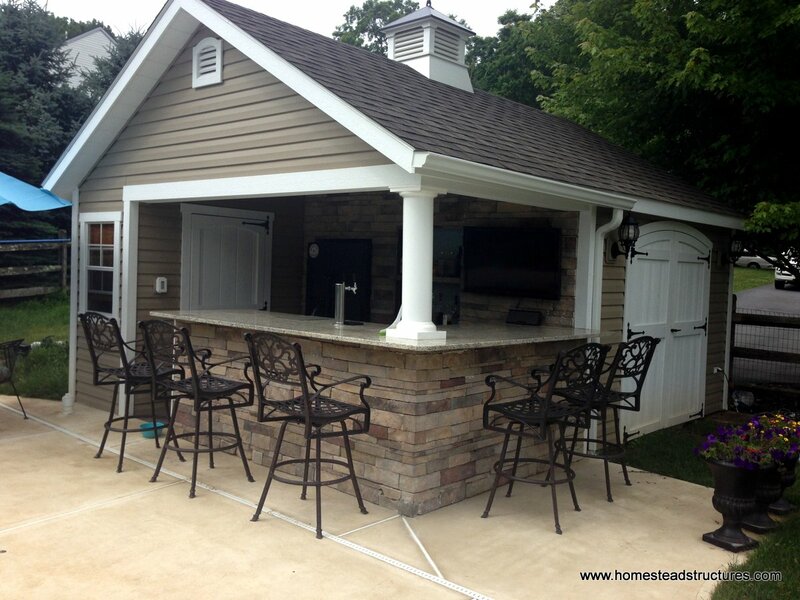 With unlimited custom options available, we help you stay within your budget and have it completed in a timely manner. The sky's the limit with a custom build pool house. Roof options include everything from architectural shingles to the durability of standing seam metal roofs. 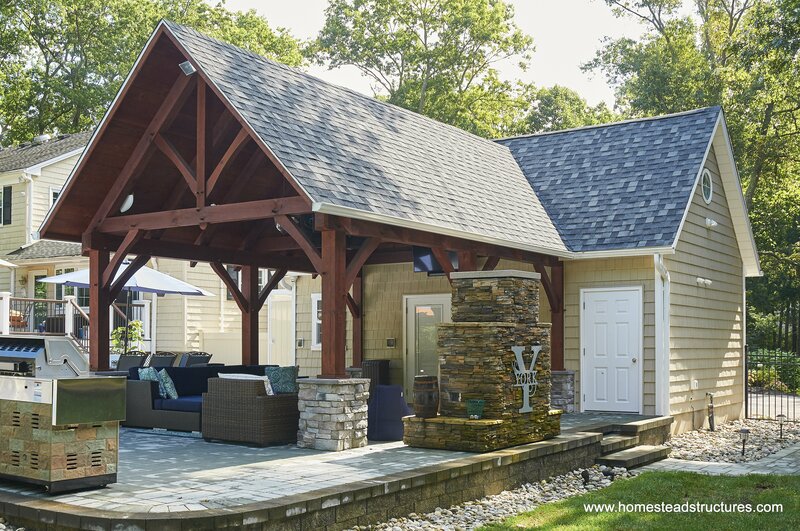 Add a custom cupola and a weathervane, for your distinctive look. 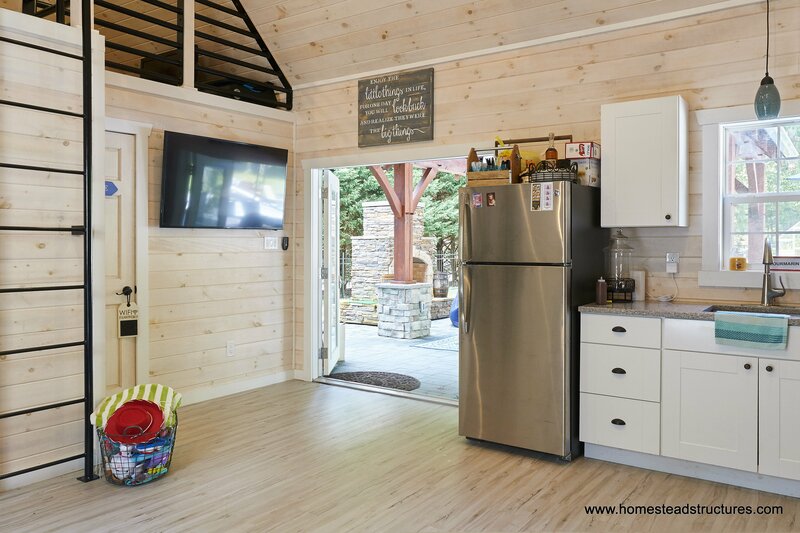 Do you love the natural warmth and beauty of timber framing? 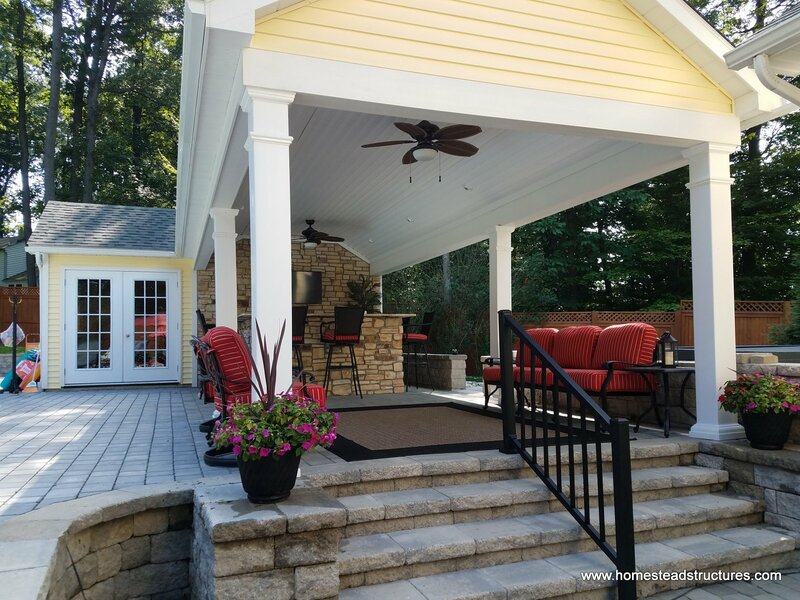 Add it your custom porch, or in the interior in the size that works best for you. Interior options include a full bathroom, a changing room, a kitchen, lounging area, loft, and even a bedroom. Consider a tile floor, or a basic linoleum, or bring the beauty of wood indoors with our hardwood flooring option. Custom options make the difference and we love bringing all the details together to make your dreams come true. 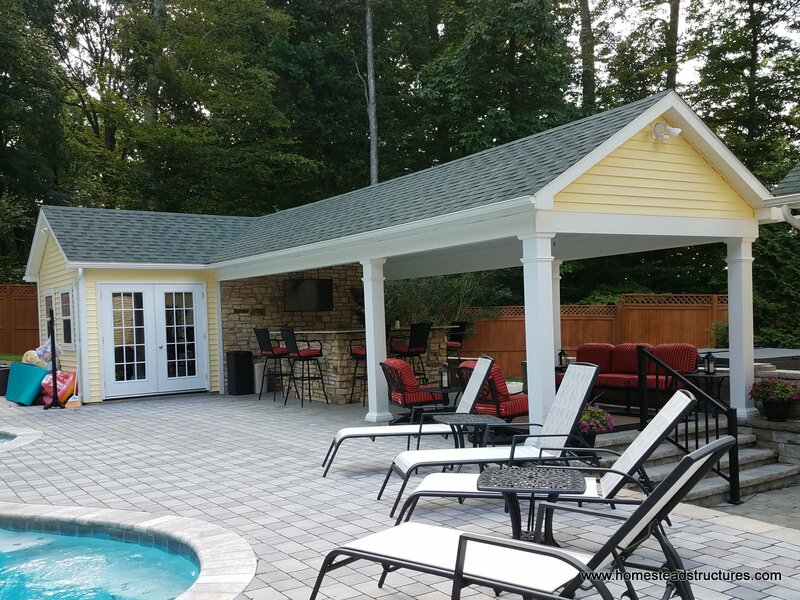 3-D renderings make designing your custom pool house is easier and more accurate than ever. Being able to see all the details and options before we start building ensures that you get exactly what you want.